By day, the Share Exchange in Sonoma County, California is a marketplace where people can purchase locally-produced goods such as clothing, food, books and more. “At 6 o’clock, we close up business and transform the space for public gatherings—seminars, film screenings, and art shows”, describes Kelley Rajala, founder of Share Exchange. “It’s a wonderful, flexible space to incubate and showcase local solutions for more sustainable living”. On the east coast, in Bethesda, Maryland, residents, businesses, and local government staff gather at Bethesda Green to “educate, incubate and initiate” sustainable living practices and businesses. Even in Fairfield, Iowa in the nation’s heartland, the Bonnell Building Project’s space is designed to be configured and reconfigured by community members based on their passions and interests. These brick-and-mortar spaces are examples of Local Economy Centers, exemplifying emerging models of community building to tackle local issues and strengthen local economies. While many communities have success with local initiatives, government programs, and business partnerships, Kelley believes that these initiatives lack an essential piece. “What’s missing is a physical gathering place”, she explains. “A Local Economy Center allows people to engage in wherever they are in the process of localization and sustainability; it could be a place for people to see what’s going on in their community, incubate a new business, or take action.” She sees parallels to other movements sweeping the country such as Transition Towns, that focus on weaning our society away from fossil fuels and the Business Alliance for Local Living Economies (BALLE) that focuses on local economic development. 5. Whole Systems Approach (as practiced using the Natural Step, Permaculture, Biomimicry, and other practices). Michael Shuman, local economies advocate and Director of Research and Public Policy at BALLE, has written extensively on why investing in local business rather than Wall Street makes good economic sense. In his latest book, Local Dollars, Local Sense: How to Shift Your Dollars from Wall Street to Main Street, he offers 12 ways to invest in our local communities that yield a two to four times multiplier effect over traditional investing. Among the strategies, he advocates investing in community-owned business and cooperatives—reinforcing Local Economy Centers as place-based catalysts for incubating new business while educating the public. The variety of settings, business models and legal structures among these three Local Economy Centers demonstrate that no one-size fits all. Bethesda Green is a non-profit organization located in a busy, urban downtown, just next door to our Nation’s Capital. Its 4,000 sq. foot space was generously donated by Capital One Bank and resides on the second story of one of its bank branches. Bethesda Green launched in 2008 with a $25,000 County grant and additional public private support. It relies on local grants, corporate sponsors and in-kind donations. Its environmentally-designed space showcases ‘green’ products and services and offers a multitude of sustainability programming, such as solar and green home expos, green job fairs, local food panel discussions and local farm tours. “We don’t reinvent projects, we leverage good work in the community and accelerate it”, shares Dave Feldman, Executive Director of Bethesda Green. “With Bethesda Green’s community outreach and promotion to new audiences, the County’s electronics recycling program increased from 8,000 lbs. to 100,000 lbs.” Bethesda Green also offers one of the most successful green incubators on the east coast, supporting a dozen green entrepreneurs to create jobs and build wealth while supporting their environmentally-based missions. In contrast, Share Exchange, based in Santa Rosa, California, caters to a small town (pop. 167,000) in the fertile wine country of northern California. It is organized as a California Cooperative and opened its doors in December 2010. Initial funding was boot-strapped (no outside funding) by the owners and this 1,800 square foot space is organized around four key programs: a marketplace for local goods, a CoWork space and incubator, a public gathering place for events and education, and a Local Economy Institute to share resources and best practices. In its short life, ShareExchange has attracted 250+ local entrepreneurs and 60 CoWork members, and has organized 200 events. Revenue comes from sales, membership, events, rent, sponsorship, and contracts. The Bonnell Building Project, Inc. (BBP), the largest of the three Local Economy Centers, was launched in 2008 with the purchase of the Bonnell Building, a 12,000 square foot building near the town square in Fairfield, Iowa. The property was previously occupied by St. Mary’s Catholic Church and includes a five-bedroom home, a 15,000 square foot school building with a large commercial kitchen, and a 1500-square-foot workshop building on 1.7 acres of land. 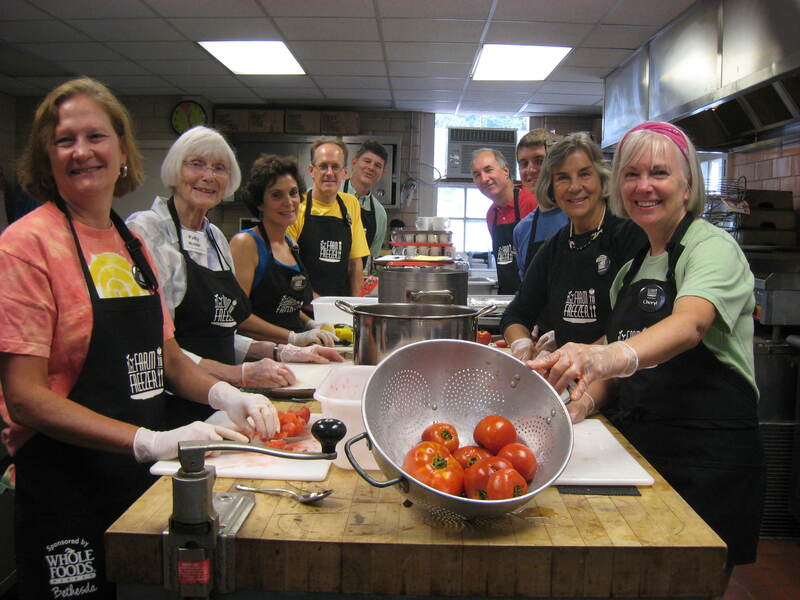 This volunteer-based, non-profit organization is run by community members. BBP provides the space, but relies solely on its community to implement businesses and projects in the areas of social entrepreneurship, science and technology, business, and the arts. In this way, people are empowered to take ownership, responsibility, and action. Since its start, community members have launched dozens of projects, businesses, and organizations, including a performance venue, an electronics lab, a recording studio, an organizational development consulting practice, and an artists’ collective. In addition to these, other Local Economy Centers are popping up around the country recently including Hannah Grimes Center in Keene, New Hampshire and Green Garage Detroit. While these Centers are quite enticing and vibrant places, Kelley and Dave offer starts ups some advice–both human qualities, as well as, business strategies needed to succeed. First and foremost, expect to practice patience, perseverance, flexibility, and adaptability—qualities that are required for any start-up! Dave offers his business strategies to entrepreneurs; they must engage the private sector, find creative financing/funding opportunities, and form strategic partnerships for strong leverage. Kelley suggests that start-up Centers do preliminary test marketing; get stakeholder buy-in; collaborate; and devise capitalization early on. Albert Einstein said, “We can’t solve problems by using the same kind of thinking we used when we created them.” Local Economy Centers offer a new model—a tangible space for communities to come together, engage, and create a shared vision and actions toward building more vibrant, economically and environmentally sustainable communities. While the founders offer some sobering advice with their lessons learned, they are pioneers of this new model. Like all pioneers, with vision and persistence, they are creating these spaces for change to turn community opportunities into a reality. Cheryl Kollin is the product developer at Livability Project, a consulting and education firm that helps community leaders build sustainable communities. Using the Livability Project FrameworkTM, the firm coaches and trains stakeholders across business, government, and civic sectors to identify and leverage their own community’s assets to fulfill their vision, expand economic opportunities and develop local, green initiatives. Livability Project is best known for its groundbreaking work with Bethesda Green in Montgomery County Maryland and Share Exchange in Sonoma County, California. The spark of a Farm to Freezer project was born and six months later we are up and running thanks to generous support from community foundations, donated kitchens from partner churches, and in-kind donations from businesses including Whole Foods Bethesda, Zipcar, andHonest Tea. Even Compost Crew helps by donating their services to compost our food scraps.